A qualitative study investigating the experiences and effects on practice of Eritrean healthcare professionals studying for a postgraduate degree by distance learning is reported. The programme is delivered via online learning together with in-country teaching visits. Two focus group discussions with 19 postgraduate students were conducted. Online learning is challenging due to intermittent connectivity and power cuts, but students have developed their own solutions to overcoming these difficulties. Thematic analysis generated four themes. Students who are embedded within the Eritrean context are experiencing a process of self-development, both academic and personal. This self-growth is facilitating the development of resilience and confidence building, enabling students to have a positive influence on health service provision, thus impacting on the Eritrean context. Students are developing life-long skills that will support the continuing development of healthcare systems in Eritrea long after they have completed their distance learning programme. Corlett, J. & Martindale, L. (2017). Supporting Capacity Building in Health Service Provision in Eritrea via Distance Learning Master’s Programmes: The Challenges and Rewards. The International Review of Research in Open and Distributed Learning, 18 (5),. Athabasca University Press. Retrieved April 20, 2019 from https://www.learntechlib.org/p/180435/. Bernard, R.M., Abrami, P.C., Borokhovski, E., Wade, C.A., Tamim, R.M., Surkes, M.A., & Bethel, E.C. (2009). A meta-analysis of three types of interaction treatments in distance education. Review of Educational Research, 79(3), 1243–1289. Breetzke, G.D. (2007). A critique of distance learning as an educational tool for GIS in South Africa. Journal of Geography in Higher Education, 31(1), 197–209. Gulati, S. (2008). Technology-enhanced learning in developing nations: a review. The International Review of Research in Open and Distance Learning, 9(1), 1–16. Knowles, M. (1990). The adult learner: a neglected species (4th ed.). Gulf Publishing, Houston. Letseka, M., & Pitsoe, V. (2014). The challenges and prospects of access to higher education at UNISA. Studies in Higher Education, 39(10), 1942 – 1954. Marginson, S. (2014). Student self-formation in international education. Journal of Studies in International Education, 18(1), 6–22. Nyerere, J.K.A., Gravenir, F.Q., & Mse, G. (2012). Delivery of open, distance and e-learning in Kenya. The International Review of Research in Open and Distance Learning, 13(3), 185–204. Oladokun, O., & Aina, L. (2011). 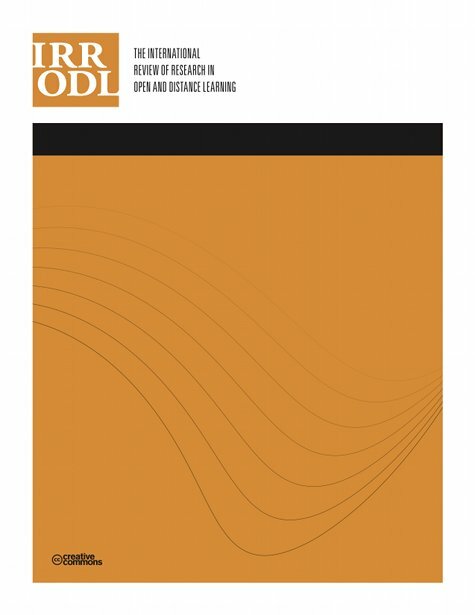 ODL and the impact of digital divide on information access in Botswana. The International Review of Research in Open and Distance Learning, 12(6), 157– 177. Pyvis, D., & Chapman, A. (2005). Culture shock and the international student “offshore.” Journal of Research in International Education, 4(1), 23–42. Rye, S.A., & Stokken, A.M. (2012). The implications of the local context in global online education. The International Review of Research in Open and Distance Learning, 13(1), 191–206. Saito, M. (2003). Amartya Sen’s capability approach to education: a critical exploration. Journal of Philosophy of Education, 37(1), 17–33. Shams, F. & Huisman, J. (2012). Managing offshore branch campuses: an analytic framework for institutional strategies. Journal of Studies in International Education, 16(2), 106–127. Vygotsky, L.S. (1978). Mind in society. Cambridge MA: MIT Press. Zhou, Y., Jindal-Snape, D., Topping, K., & Todman, J. (2008).Theoretical models of culture shock and adaptation in international students in higher education. Studies in Higher Education, 33(1), 63–75.